How Countries All Over the World are Responding to the 2030 Agenda – and How You Can Help! Launched at a UN Summit in New York in September 2015, the 2030 Agenda for Sustainable Development is a detailed plan set out to end poverty in every form, in the hope of ensuring sustainable development and bringing the world closer to universal peace. The plan has 17 Sustainable Development Goals and 169 targets, which focus on topics like reducing inequality and protecting the planet. They are expected to be implemented by all countries and stakeholders in a collaborative, global partnership. Certain countries around the globe are taking measures to fulfill these targets by setting up action plans to meet the Sustainable Development Goals. Nevertheless, other countries show little progress when it comes to institutionalizing these global aims. For this reason, it’s important that individuals do their part and realize that small steps can revolutionize the world. Across the world, countries are acting to achieve the goals in the 2030 Agenda through dedicated coordination units, action plans, and accountability systems. According to the SDG Index Report 2018, Brazil, Italy and Mexico have all committed to high levels of implementation and national coordination in regards to the 17 Sustainable Development Goals (SDGs). Other countries, such as the United States and the Russian Federation, have demonstrated poor institutionalization of the SDGs and political leadership. Strikingly, there have been no statements made by the head of state in either country on how they plan to carry out the SDGs. Surveys conducted by the Bertelsmann Foundation and the Sustainable Development Solutions Network show that no country is set to complete each goal by 2030. These surveys assessed all G20 countries (19 individual countries and the European Union), which represent two thirds of the world’s population. Nordic countries like Sweden, Denmark and Finland are at the top of the 2018 SDG Index. Still, these countries need to move much faster when it comes to reaching goals regarding climate action. It should be noted that nations with high incomes are creating a negative spillover effect that is hindering other countries’ efforts to accomplish the SDGs. In addition, parts of Sub-Saharan Africa and countries experiencing conflict and war will understandably struggle to end extreme poverty by 2030. The data in these surveys demonstrates inequality amongst countries is high, and this gap is only set to widen. 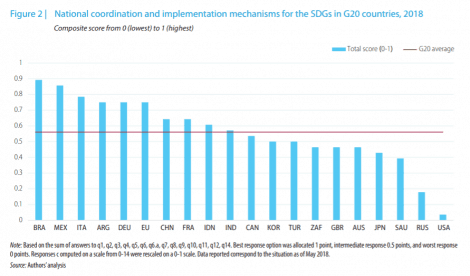 In conclusion, it is great to see that almost every G20 country has begun some efforts to implement the SDGs. However, extreme actions must be taken by every nation in order to complete the goals by 2030. Since the public can’t rely on government accountability to execute these efforts, individuals need to start completing tasks in their daily lives to help get closer to achieving the 2030 Agenda. It’s time everyone started taking easy steps in their own lives to protect the environment and make the world a better place. Plug all of your appliances into a power strip and turn it off when you’re not using it. Say no to paper – pay your bills online, use refillable coffee cups, and bring your own bag to the store. Drip dry. Say goodbye to your blow dryer and let your hair dry on its own. Also, hang up your clothes on a clothing line instead of using a dryer. Recycle paper, plastic, glass, and aluminum. Use energy efficient appliances and light bulbs. Buy flawed fruit. Fruits and vegetables are often tossed due to imperfections in size, shape, or color. Consuming these perfectly normal, albeit misshapen, fruit means they aren’t being thrown out. Consume less meat, poultry, and fish. It takes fewer resources to produce plants than meat. Plan your grocery list wisely. Don’t buy more than you need and waste products you don’t use. Don’t throw away food you no longer want – give it to someone in need. Shop at neighborhood businesses. Shopping local guarantees people have jobs and trucks don’t have to drive long distances. If the 2030 Agenda is completed, the world would become a more peaceful, just and clean place to live in. Countries around the world have agreed to take impactful steps to solve global challenges like poverty and inequality. 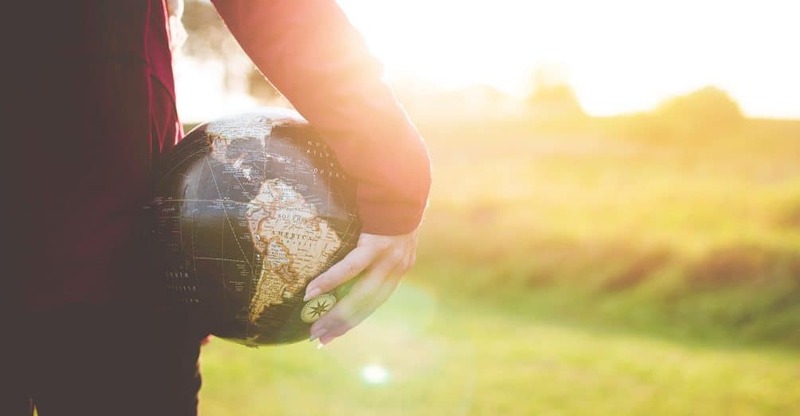 Since the G20 countries are struggling to properly implement the SDGs, there is more responsibility on individuals to evaluate their own lives and take measures to protect the environment and help out in their communities. In the end, governments and individuals should all commit to fulfilling the goals of the 2030 Agenda goals, and each member should do their part to transform the world into a harmonious and sustainable place for all. If you’d like to find out more ways you can take action, take a look at the UN’s “The Lazy Person’s Guide to Saving the World” and discover more easy yet effective ways for you to help. Also learn more on our Master in International Development in partnership with the United Nations System Staff College, attending to these issues.